NEW YORK STATE (December 20, 2013) – Governor Andrew M. Cuomo has issued a consumer alert to urge New Yorkers to protect themselves against identity theft during the busy holiday shopping season when that risk is especially high. As part of the consumer alert, the Department of Financial Services (DFS) released its “Top 5 Tips” for New Yorkers to safeguard themselves from falling victim to identity theft while shopping in-store and online. 1. Safeguard Your Personal Information, Online and Off. · Install a firewall and virus protection on your home computer to prevent hackers from obtaining personal identification and financial data from your hard drive or when you’re using the internet. 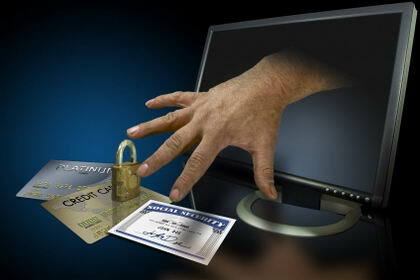 · Never send sensitive personal information, like credit card numbers, via email. · Do not give out personal information over the phone unless you initiated the call or are absolutely certain with whom you are speaking. 2. Keep a Close Eye on Your Card at the Store. · When you’re using a debit credit card at a store, keep a constant eye on your card and who is handling it. Be aware of “swipe and theft” scams using card skimmers. A skimmer is a machine that records the information from the magnetic stripe on a credit card to be downloaded onto a personal computer later. 3. Don’t Get Hooked by “Phishing” Scams Online. · Make sure that you are actually on the website you wish to be on – some online “phishers” create bogus sites that mimic real ones in order to capture shoppers’ personal information. · When using email, be cautious about clicking on hyperlinks or attachments on unsolicited messages. Even emails that appear to be from familiar and trusted sources can be fraudulent. 4. Regularly Check Your Statements and Credit Reports. · You are entitled to a free credit report from each of the major credit reporting agencies (Experian, Equifax, TransUnion) annually, so request one free report every four months and check it carefully for signs of suspicious activity. You can request the reports online at http://www.annualcreditreport.com. Checking your credit report will not affect your credit rating. 5. Report Lost Cards or Suspicious Charges Immediately. · If you realize you’ve lost your credit or debit card, report it immediately to avoid fraudulent charges. · If you’re too late and become the victim of identity theft, report any suspicious activity and unauthorized charges immediately to all of your creditors, as well as the credit bureaus, and file a report with your local police. · You can have the three credit bureaus place a 90-day fraud alert in your file so that you will be notified if somebody is reviewing your file. · Request a “security freeze” be placed in your file at each of the three major credit bureaus, which prevents creditors from accessing your credit files to review your history, thus preventing any new credit from being opened for you, unless you authorize the agencies to allow access. For further suggestions on how to safeguard your identity from scammers, please visit http://www.dfs.ny.gov/consumer/idtheft.htm. New Yorkers should also be aware of the risks of providing sensitive personal information to online payday loan companies and lead generation firms, which the Cuomo Administration is currently investigating. The information consumers provide to these companies may be passed along or sold to other companies, and even scammers, without your knowledge. Additionally, New Yorkers should know that payday loans are illegal in New York State.